MARC CASTLE started in the business at the age of ten in Thornton Wilder’s Plays for Bleecker St. at the Circle in the Square. He toured in the 1st National Company of Camelot, and appeared off-B’way in My Great Dead Sister (The Production Co.) and Romance Language. (Playwrights Horizons) Regionally: The Foreigner, Crazy for You and A Lion in Winter. Film and TV: A Guide to Recognizing Your Saints, Urbania, and As the World Turns. Productions of his work have been seen at EST, the Neighborhood Playhouse and La Mama. He was the Literary Manager for Emerging Artists Theatre where he has had eight short plays produced (one of which, Invisible, was recently published.) Other recent works include One Brief Shining Moment, his biographical one-man show which he will be performing again this March; Young King Arthur (music: Scott Zesch, book: Jon Shear) which played at the Vital Theater in 2006 and recently won the National Children’s Theater Award which included a month long production at the Actor’s Playhouse in Coral Gables, Florida, and the musical Hollywoodland, (music: Scott Zesch) recently given a developmental reading at Emerging Artists and on the short list for the O’Neill Conference. His musical, Love, Incorporated, was presented in 2008 at the Midtown International Theatre Festival where it won Outstanding Production of a Musical. It recently premiered at the Roper Center in Norfolk VA as an out-of-town tryout for a future Off-Broadway run. His play, Friends and Relations, was produced at the June Havoc Theater in December, 2011. Marc also has an extensive background as a director too, both in NYC and regionally. He recently staged Noel Coward’s Fallen Angels at the Players Club. For Emerging Artists, he directed two short plays; Furious and Belle and Angel, as well as a play by David Bell for Fast Food, the 24 Hour Plays and many pieces for the One Woman Standing Festival. Other directing credits include A Boy and His Dog for The Directing Co., Sly Fox at The Playhouse on the Mall in Paramus, NJ, and the cult Off-Off B’way production of Pledge Girls from Delta, House of Death. Marc was Director of New Play Development at the Vortex Theater Co, ran the Playwrights Platform for the Turtle Shell Theater, and has done a great deal of dramaturgical work as well. He has taught acting and does coaching on an ongoing basis. In Long Island City, he has worked at the Secret Theatre as both actor (Much Ado about Nothing) and playwright, (Short Play Festival) and at the Chain Theatre, as director and playwright. 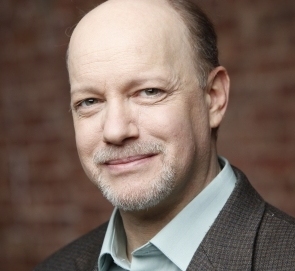 (Unchained Festival) Besides Emerging Artists, Marc is a proud member of The American Renaissance Theatre Co., TOSOS, Equity, SAG/AFTRA, ASCAP, the Dramatist Guild, and an alumnus of both the BMI Composer/Lyricist and Librettist Workshops.